Arthur "Art" Concello, circus trapeze performer, circus manager, circus owner and businessman. No one person in the 20th century had a greater influence on circus history of the American than than Art Concello. Born in Starbuck, WA. March 26 1911 to parents Arthur D. Vasconcellos and Mattie Mae Vasconcellos of Portuguese descent, Concello was one of greatest trapeze artists of his time and later became the most important circus managers of the day. At age 10 Concello began training for the trapeze under the guidance of Clarence Curtis who had trained many circus aerialist. 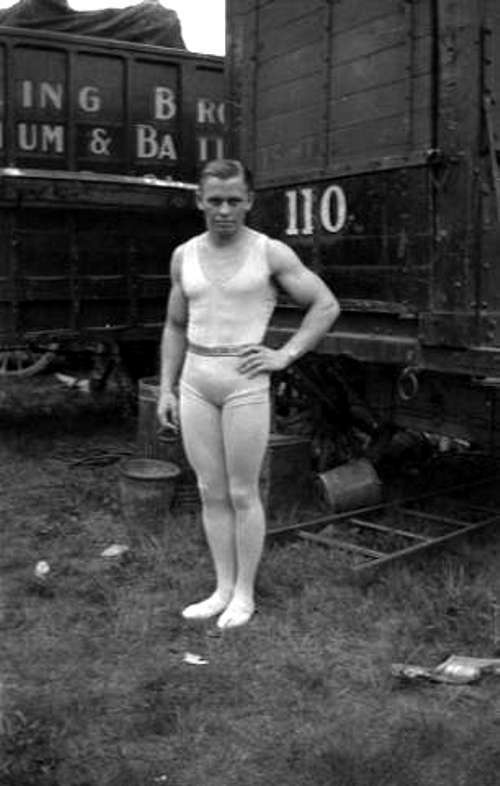 At age 16 he was performing in the flying act on the Hagenback-Wallace Circus. In 1928 a young girl named Antoinette Comeau came to visit her sister Mickey King who was also a flyer on the show. Art convinced Antoinette join his act. 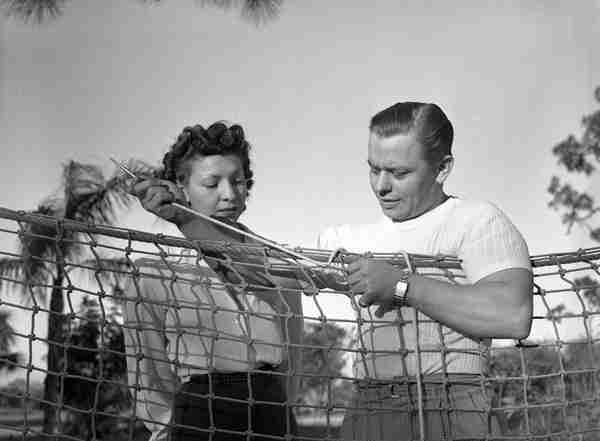 Later that year Art and Antoinette were married and they became the "Flying Concellos". The Concellos wintered in Bloomington, IL., home of Eddie Wards training camp for circus trapeze artist. In 1929 Eddie died. Art purchased the camp and he and Antoinette continued to train young circus aerialist. 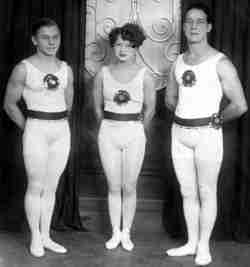 Art trained many circus aerial acts and then contracted the acts to perform with various circuses. Antoinette became the first female to perform the dangerous triple somersault. In the 1930s the Flying Concellos toured Europe and after famed trapeze Alfredo Codona was injured in a fall, the Concellos were featured on the Ringling Brothers and Barnum and Bailey Circus. In 1942, Concello hired by John Ringling North as general manager of the Ringling Brothers and Barnum and Bailey Circus. The following year 1943, John Ringling North resigned as president of the corporation and his cousin Robert Ringling took control. After North's resignation, Concello also resigned in 1943, he then purchased The Russell Bros Circus, a west coast circus. The purchase of the Russell Bros. Circus proved to be very profitable for Concello. Clyde Beatty was in his hey-day in the mid 40s both as a movie actor and wall know name in the steel arena of the circus. Art hired Beatty as his star attraction and re-named the show "Clyde Beatty-Russell Bros. Circus"
In 1947 John Ringling North bought back his interest in the Ringling show, many say with Art Concello's money. North then hired Art again as general manager. Concello soon had the show running efficiently and profitably. In the 1950s Concello invented and patented new seat wagon which revolutionized the way circuses moved. All of the bleacher style seats remained attached and the sections of the grandstand folded forming the sides of the wagon. It was no longer necessary to carry seat boards, stringers and jacks in to the tent one at a time. This system of portable seating is still used by circuses today. 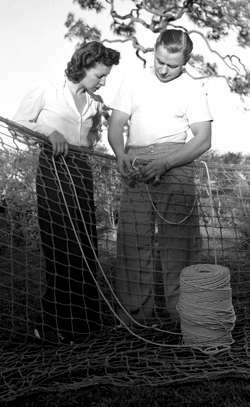 By the 1950s Art and Antoinette's relationship had become very tumultuous and it ended in divorce in 956. After leaving the RBBB Circus, Art had his private railroad car moved to a lot in Sarasota, Fl. which became his home and office during his retirement. On January 17, 2004 Art Concello was inducted into the Sarasota's Circus Ring of Fame.